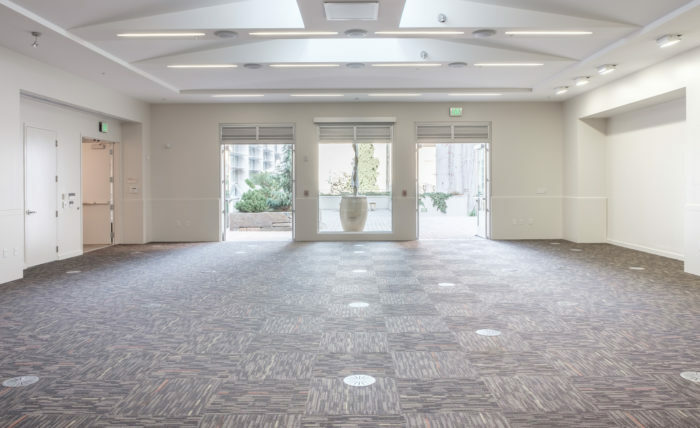 Room Size: 35’ x 45’, 1575 sq. ft. 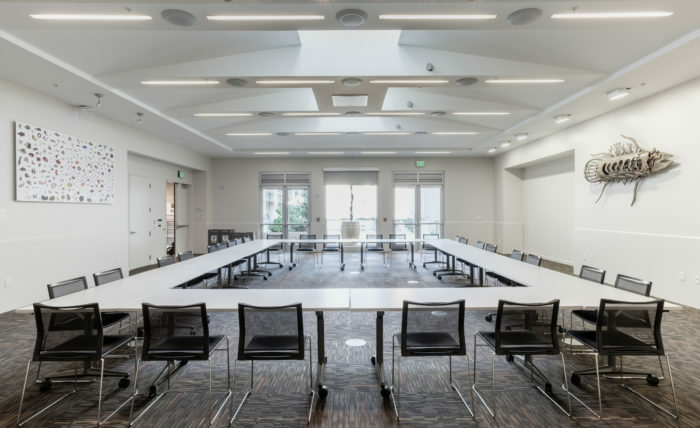 Easily the Brower Center’s most versatile space, the large Tamalpais Room is ideal for a variety of special events, meetings, seminars or presentations. 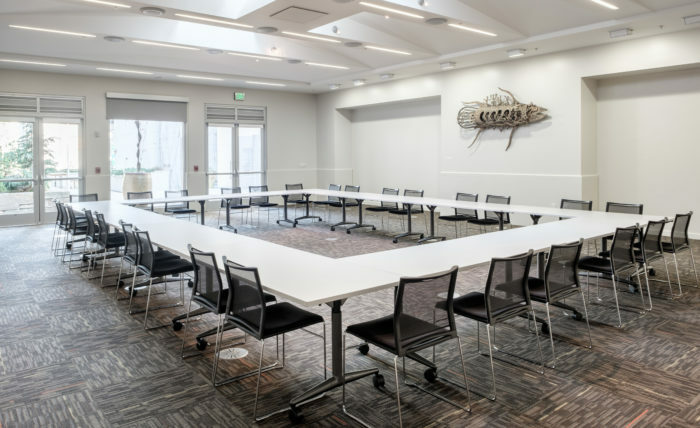 Whether for a seated banquet, standing reception, classic boardroom, seated screening or classroom arrangement, this second-floor room can be rented with the adjacent second-floor terrace for both social and professional affairs. 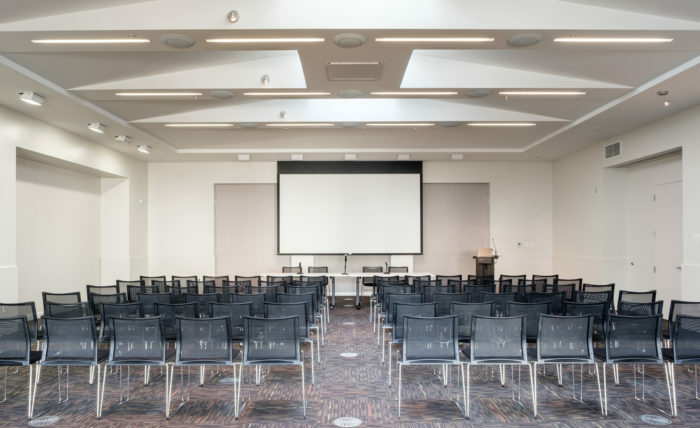 The Tamalpais features some tackboard walls, full audio/visual capabilities with hi-definition digital video and sound reinforcement. 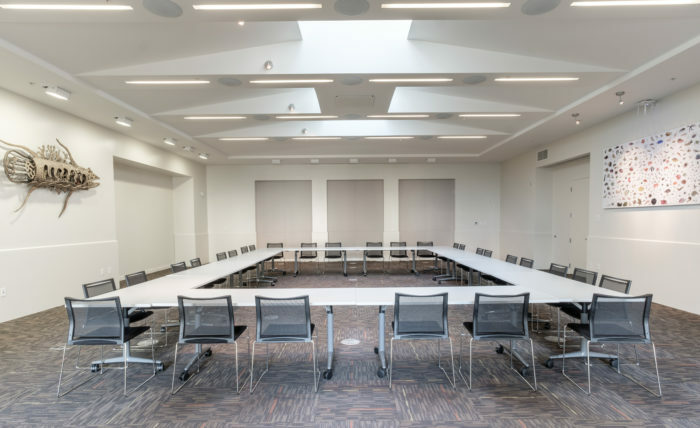 For complete details, visit our Rates page. 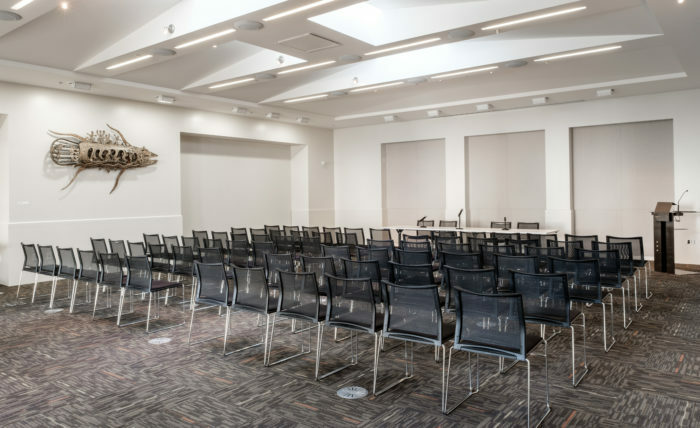 Click here to inquire about the availability of the Tamalpais Room, or email events@browercenter.org.